So. Recently i found myself languishing deep in the midst of a strange thought process. This is something i haven’t really given any thought to until recently, given the time we have spent looking at the power of obsession, its relationship with love and what is (for me at least) the growing problem of the “reality bomb.” I found myself wanting to disappear, just to fade away and do my thing, away from everything. When i sit here writing, more calm and comfortable, set on what i am now and what i need to do, i can’t help seeing incredibly selfish that seems. Nonetheless, the urge to just give up, with my work, my friendships, with life as it is right now altogether, because it “didn’t work” seemed a problem i just couldn’t shake off. I think i felt like the was no way out of the endless cycle of nothing more than a temporary release from the routines that I moved through often without thinking about it, again and again and again somehow “forced” to face a reality that couldn’t be further from interesting. Its remarkably strange feeling, to think you’re making no impact in life, or on the lives of the people you are closest to. This fear of not being noticed or liked that we’ve come to be familiar with seems to be taking a more sinister turn, in that you start to wander about whether you “matter” at all. This could be to those you are close to, or even to the world itself. “Would it make a difference if i wasn’t there?” “Does me being there give them something?” and so on and so forth. I spent 3 days thinking like this. Balancing between thinking about disappearing and wandering what happened to the desire to carry on. The desire to give up the pursuit and stop fighting that i seemed to almost drop back to was quite scary. I wanted to feel and do nothing, for then nothing would light a fire and cause risks that could make for misery and that desire to “disappear” to come back. I feel like in a way there is a fear, not just in my world, for misery, the fear of feeling less than so brilliantly wonderful that it might be “hard to handle.” The reality bomb in all its dreadful majesty is something i feel like plays its part in this fear, this niggling thought in the back of your mind that makes you wander what your pursuing and perhaps more importantly, why you are doing so. 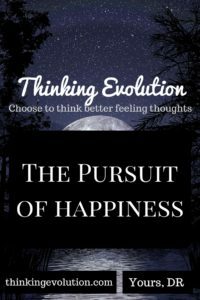 I have said many a time here at Thinking Evolution that a fundamental part of getting to that point where we feel we can enjoy life, love and everything in between starts with a choice- a decision, to choose to think better feeling thoughts. To see both of the routes in your life and feel as if your capable, powerful enough to see what, in this particular moment, in that particular environment, will give you the means to feel good, to feel…happy. The urge to give up on life is everywhere, the desire to disappear, for the risk, the fear of what you can’t see. I believe these things cannot make you feel low and will certainly not do anything to make you feel good. Instead the third option, to me shrouded in a comfort of darkness, the feeling of nothing at all. In this “nothing”- what are we giving up the pursuit of? What are we all moving towards? The choice to think better feeling thoughts seems like only half an answer, in that it is merely an event, a mental exercise that gives you the means to be the wonderfully positive powerful person you imagine yourself, I imagine myself, to be. What is the point? Why make the change at all? Why not stay here- in my little box of nothing, where i cannot get hurt? For the pursuit of happiness and being able to live what we feel is a “happy” life everyday, should surely be the point of life. To impact the life of those around you through the way you make decisions and live your life, for them to hopefully feel good and see some good in the world through what you have done. Those around you are all pursuing some form of happiness and as much as it does surprise me, its more of a team effort than i thought. Now, i must be honest i palmed them both off at the time, but sitting with your thoughts for 3 days as you wander why to carry on, the thoughts that you are “not needed,” the thoughts that there is no point to that “risk” becomes harder to rationalize. Impossible actually. These randomly brilliant humans seemed to be worried about my state of mind in this moment of darkness, i guess you could say they cared. Now, i admit that doesn’t make for much now, as i care about them a lot too- but in that sort of mood it creates a remarkably powerful response. I felt truly awful for many hours, and have done probably hundreds of times before. Living in your mind wondering why to carry on at all, for my brilliant, beautiful best friends to simply just want to be there makes you think far beyond the emotionless misery of that moment. Far, far beyond the misery, the distance and the desire to disappear. You think about the times with these people where you felt amazing, filled with such utter joy, happy to be in what is a wonderful moment in the vast strange world we call life. Then off we go, to have new brilliant moments in life that make us feel so brilliantly unique, doing and seeing things we cannot explain with people we love, simply for the happiness it brings us. With all this happening, you know that things don’t have to be “just this way” for things to work, for the world to change. Going it alone is only half the battle. To pursue the happiness that makes us feel so good everyday. We can try and do it alone. I have tried. Yet i missed something. Happiness is a team effort, for its people that make us want to live our lives for the brilliant moments and experiences that make us want to feel good, to feel happy. 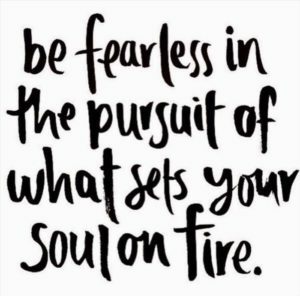 As we push ourselves to jump just a little bit higher, to take that risk and make that decision, for as a collective, i think we all in our own way want to be happy.